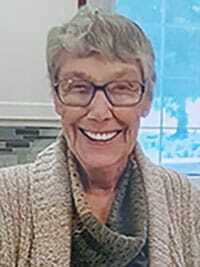 Kathleen (Kay) Freda Powell - Edmonton's Burial & Cremation Professionals | Trinity Funeral Home Ltd.
Nana was an amazing Grandmother and friend. We loved being able to spend the last few years living close to her and Grandpa. Lots of fun memories were made that will last the rest of our lifetimes. Thank you so much, Powells, for allowing us to share this gracious, kind, and cheerful Lady with you for the last 25 years. As well as memories of great food and laughter she leaves her gifts to us of beautiful children and grandchildren carrying Her strengths and intelligence. She will be well remembered and missed.